LAN, also called local area network, is a computer network that interconnects computers within a limited area such as residence, school, computer laboratory or office building. SAN, or storage area network, is a computer network which provides access to consolidated and block level data storage. There are similarities between LAN and SAN environments in that they both offer a communication path for data and storage movement. However, there are also differences. Since both of LAN networking and SAN networking comprise cables, switches and other components, in this article we will introduce LAN switch and SAN switch respectively, and focus on LAN switch vs SAN switch. LAN switch is apt to be Ethernet-based which uses copper and optical interfaces ranging in size from a few of ports to hundreds of ports. Most modern campus LAN switches support a variety of port speeds, including 1 Gigabit Ethernet, 10GbE, 40GbE and 100GbE. 10 Gigabit switch is the most widely used one for LAN applications. LAN switch typically supports multiple protocols, containing TCP/IP, TCP/UDP, IPX and AppleTalk. In addition, it performs well in some features, such as voice-over-IP (VoIP), Quality of Service (QoS), bandwidth management and reporting. As an enterprise switch or advanced switch, the supportable features extend to enhanced security features, automated integration with external troubleshooting and management tools. SAN switch is normally a Fibre Channel (FC) switch, which complies with Fibre Channel protocol. The FC switch examines the data packet header, determines the origin and destination of computing devices, and sends the packet to the intended storage system. 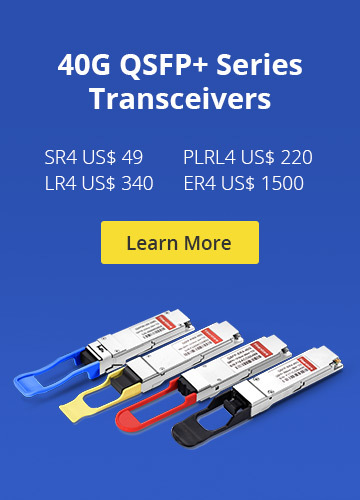 A FC switch is designed for high-performance network with low latency and lossless data transmission. On the other hand, a SAN switch can also be an Ethernet switch. In the ideal situation, the Ethernet-based SAN switch would be devoted to storage traffic in an Internet Protocol (IP) SAN so as to maintain performance predictability. In the meanwhile, SAN switch can be combined to build large SAN structures that interconnect thousands of servers and storage ports. 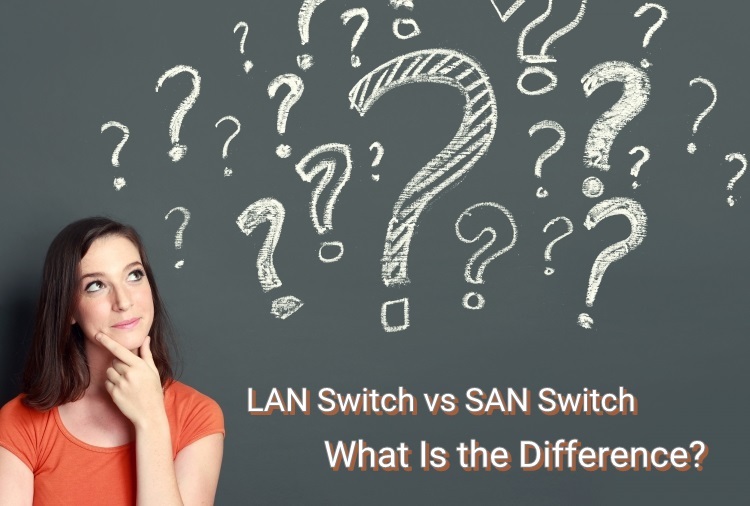 With regard to LAN switch vs SAN switch, one of the most noticeable differences is that LAN switch uses standard interfaces and runs on Ethernet which is IP-based and known for being low-cost and good performance. While SAN is Fibre Channel-based storage network. It is designed for the principal of guaranteed data integrity and deterministic performance, and the price is a less important consideration. LAN switch, as a NAS-based storage network, is using file sharing protocol like NFS, CIFS or AppleTalk. For SAN switch, it is based on iSCSI storage network and also a combination of Fibre Channel and iSCSI technology. From this article, you may harvest a rough understanding and know the difference between LAN switch vs SAN switch. You can differentiate and select them by asking some questions. What protocols do I need to support? What management features do I need? Apart from these, port speeds, interface connections, Power over Ethernet and etc. are also necessary considerations for choosing a LAN switch or SAN switch in more detailed angles. 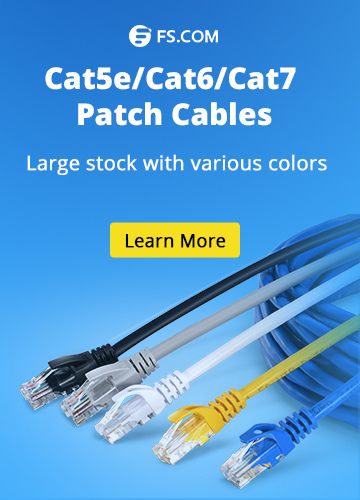 Nowadays, LAN fiber switch that is known for optical fiber networking and Gigabit PoE switch with the ability to power supply are popular. If you are looking for such products, FS is a nice choice. switch 10 gigabit switch, lan switch, lan switch vs san switch, san switch. permalink.